Appointments are now being taken for 1st April 2019 onwards. Although this charge will be deducted from your first treatment, if treatment continues. Please note: These prices are just a guide and a full quote will be given on the day of consultation and patch test. Here at estetica Beauty Salon, we pride ourselves on keeping up with the latest treatments for our clients. 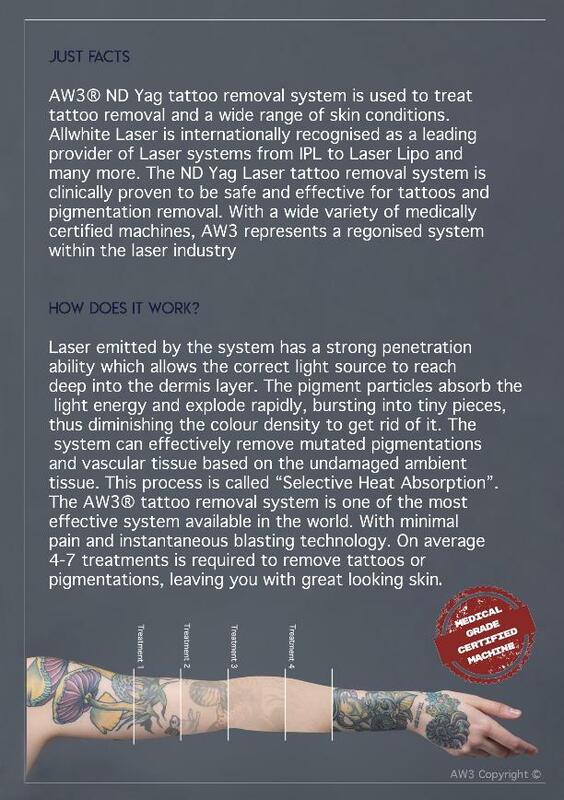 Our fully qualified and insured therapist Piera is certified to perform your treatment using the latest laser machine from AW3 which together ensure the best results.